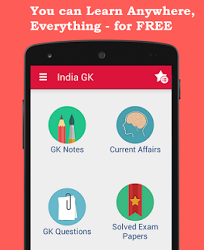 29, 30, 31 October 2017 Current Affairs MCQs, Quiz, Questions: Current Affairs for October 2017, Daily Multiple Choice Questions (MCQs) for India GK, World GK and current affairs with Collection of daily objective type Question by www.Indiagk.net based on General Knowledge (GK) and General Science (GS) Questions for UPSC, State PSC, SSC, Police exam, Railway exam, SBI, Bank PO, IBPC, SSC, LDC, UDC, Army, Airforce, Navy, Coast Guard, Bank Clerk, TET and all entrance examination with current affairs News, Multiple Choice Questions (MCQs) available on Website www.IndiaGK.net and Android Apps with daily updates:. Who has been honoured with the Hridaynath Mangeshkar Award 2017? Catalan regional parliament has voted to declare independence from which country recently? Who wins Men's singles title of French Open 2017? Who becomes Fastest Batsman to Score 9000 ODI Runs? India ships wheat for first time to Afghanistan via which port? The world’s first hybrid electric tram powered by hydrogen fuel cells has started in which country? Which bowler secures top spot in ICC T20 Rank in November 2017? Indian fast bowler Jasprit Bumrah climbed to the number one spot in the latest ICC T20 rankings while his fifth-ranked team could go as high as second if it beats New Zealand in the three-match series beginning in October 2017. Bumrah, who attained a career-best third position in the ODI rankings, has regained the T20 top spot after Pakistan spinner Imad Wasim slipped one place. India captain Virat Kohli edged AB de Villiers to claim the top ranking in ODIs.